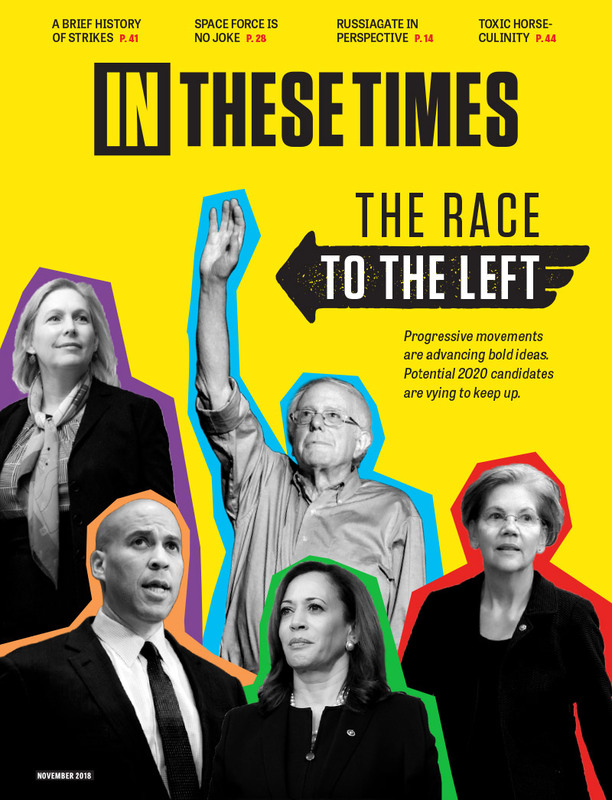 Since the 2016 presidential election, many progressives have set their sights on moving from resistance to Trump to building a lasting political movement capable of bringing together Black, Brown and White working-class voters and their allies. For instruction on how to achieve this lofty undertaking, we can turn to David Bonior, a 13-term House member from Michigan who spent his political career fighting for progressive policies in a district that in the 1980s voted for Ronald Reagan and most recently went for Donald Trump. Bonior’s new autobiography Whip chronicles the years 1976 to 2003, and its title refers to his experience in the House leadership first as Democratic Deputy Whip and then as Whip. Bonior’s working-class district in suburban Detroit’s Macomb and St. Clair Counties presented a challenge for a member of Congress who not only led fights against disastrous trade deals starting with NAFTA, but also helped lead global peace initiatives from Central America to the Middle East. Whip serves as a handbook on party building and progressive politics, leading readers through an autobiography crammed with photos, anecdotes and stories of Bonior’s 26 years in Congress. Bonior, his staff and thousands of volunteers worked with neighborhood organizations throughout the district and demonstrated that a message centered around a sustainable environment, fair trade and global peace could resonate with voters even in the midst of massive auto plant closings and high unemployment. During the Reagan years, Macomb County, with a population of nearly one million, was home to what were known as Reagan Democrats: traditionally Democratic voters who defected to support the popular Republican president. Yet, Bonior, a Democrat, was elected time and again in a district that went for Reagan. In 2016, white working-class voters in Macomb swung from Obama (who carried the county with 52 percent of the vote in 2012) to Trump (who received 53 percent of the vote to Clinton’s 42). Meanwhile, Democratic turnout in Detroit plummeted. Taken together, this decrease in the Democratic vote accounted for far more than Michigan’s 10,000 vote margin for Trump. In Whip, Bonior attributes Clinton’s failure to win the state to her campaign being too antiseptic, based on polls and fundraising and no deep connection to Michigan voters. Bonior writes in the preface, “Our movement saved me time and time again and it will be a movement that will in the end topple Trump.” And with an eye to that future, in Whip, Bonior provides extensive details on how he built a progressive political movement in his district. Detailed accounts of Bonior’s relentless campaigning jump out in each of the 16 chapters. His commitment to walking the streets and talking with as many voters as possible never wavered, from his first primary campaign in 1976 until his unsuccessful run for governor in 2002. As importantly, on Capitol Hill he campaigned among his fellow House members the same way. His office was often a hub for not only whipping Democratic votes, but also for advocacy groups on key national and global issues. Bonior was always a person people wanted to be around, an amazing combination of his personal qualities, caring deeply about constituents and staff, and his political values. He led campaigns in support of Vietnam veterans, against Apartheid, against U.S. intervention in Central America, against NAFTA, for extended unemployment benefits, against Newt Gingrich, and the list goes on and on. He describes how he did this both when the Democrats were the majority in Congress and when they were not. After many attempts, Bonior led the campaign, both in the Congress and with organizational allies, to cut off U.S. aid to the Contras in Nicaragua despite resistance from the George H. W. Bush White House. Bonior’s leadership in opposing NAFTA during the early 1990s was his most famous campaign. His resistance to NAFTA was grounded in his support for decent jobs, including those in manufacturing, which were poised to head south of the border. His willingness to confront and oppose Democrats as well as Republicans, President Clinton as well as Bush, helped move the debate beyond D.C. politics and into communities across the Midwest. Bonior understood fair trade not only from the perspective of the United States but as key to the economic prosperity of countries such as Japan and Germany. He was also concerned with the fate of workers in Mexico, who had no rights to organize unions of their own, and were at the mercy of both some of the richest capitalists in the world and the government that they controlled. Bonior worked with religious and labor leaders, economists and community leaders, and may have prevailed in his quest to stop NAFTA were it not for President Clinton, who “opened the store,” and rewarded Democrats in Congress with unrelated incentives to secure the necessary votes for passage. The anti-NAFTA campaign continues to provide lessons in how to fight corporate trade deals today. As Bonior explains, we need to be clear on our own view of a global economy and not appear as anti trade. For example, opposition to Investor State Dispute Settlement (ISDS) which first appeared in NAFTA, must be described as harming workers in both Mexico and the United States. ISDS provides that if a nation enacts regulations that impact corporate profits, including environmental protections or better labor standards, corporations can sue the government for reparations for all future lost profit. When Bonior and others spoke out against ISDS in the NAFTA fight during the 1990s, the issue seemed obscure. But over two decades later, during the fight against the Trans-Pacific Partnership (TPP) trade deal, the issue was a critical wedge which opponents used to successfully thwart the passing of the TPP in the United States. With Trump and the GOP in power, and the Democratic Party still too often influenced by corporate interests, Bonior’s fight is one we should all recommit to today. Not anymore thanks for asking though. I tried, I gave them my time making calls and going door to door. Once elected they vote with the Republicans anytime war or money is involved. You should do all of the above. You should try to fix the Democrat Party and if that fails, pull the progressive faction out, gutting the Democrats and creating a new Party but why let the Clinton's and the Corporations steal you political party, technically they already have but why let the criminals keep the criminal proceeds, take the Party back, fight in the primaries, fail, so what, run as an independent. Trump winning, means Democrat party members won, and they are winning driving the corporate tools out one by one. A Trump win, is delivering much better outcomes for workers by the long term route of cleaning out the Democrats of corrupt corporate tools and replacing them with progressives who will represent workers and then you drive Republicans and Trump from office, after forcing the Republican Democrats back into the Republican Party. The idea is to say you will help the working class and they will come out and vote for you. Obama said it then didn't help us, and Clinton would not say it. The DNC and the DCCC fund people to run against people that want to help the working class. I am going to have to say that Ron Placone is right. That instead of trying to fix the Democratic Party we should vote for a third party.